From 1900 to 1902, St Helena was chosen as a place where to send several thousands of prisoners who the British had captured during the Second Anglo-Boer war. Two tented POW camps were set up, of which nothing remains today … other than a historical marker at one of them. 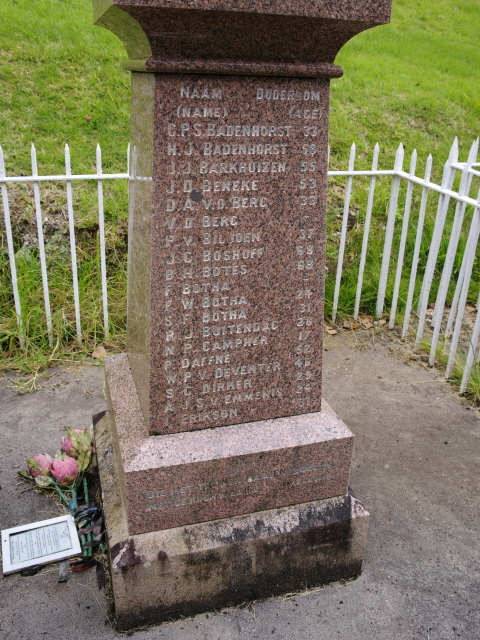 However, the dedicated Boer POW cemetery, where those Boers who had died during their time on the island are buried, is a sombre site to visit. More background info: The historical background for the arrival of these exiles was the Second Boer War (aka Anglo-Boer War) that broke out in 1899. At that time the British empire aimed at consolidating its foothold in Southern Africa but was attacked by Boers (Afrikaans for 'farmer') from two states that had come out of the Dutch settlement of the region before the British arrival, namely from what was called Orange Free State and Transvaal (aka South African Republic). After initial successes of the Boers, the British fought back and retaliated, ultimately winning the war in 1902 – through a ruthless campaign that included a “scorched earth” policy against civilians (burning of homesteads, slaughtering of livestock, devastating crops and salting agricultural land, as well as poisoning wells). It was in this context that the British came up with the concept of concentration camps (yes, it was a British invention, not a German one originally!). There were 45 such camps for Boers (and yet more for black Africans). These camps were mostly for women and children – of whom well over 25,000, about a quarter of all inmates, perished in the camps. The vast majority of captured male Boer fighters, however, were sent as POWs into exile, 26,000 in total, and about 5000 of these were sent to St Helena, beginning with the very first batch of over 500 arriving by boat in April 1900. This first shipment also included Transvaal general Piet Cronjé, his wife and a number of officers. These were housed separately at Half Tree Hollow until the end of the conflict, while for the rest of the Boers a tented camp was set up at Deadwood Plain in the north-east of the island. 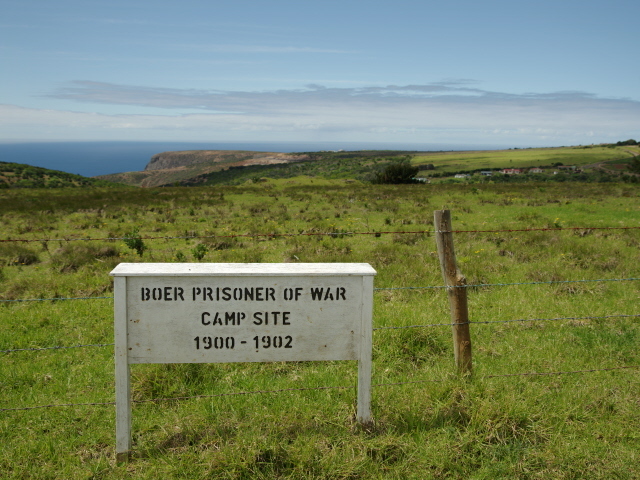 In early 1901 a second Boer POW camp was set up at Broad Bottom in the south-west of St Helena, in order to keep the different factions (Transvaalers vs Freestaters) separate. A few of the more unruly POWs were also incarcerated at High Knoll Fort (see under fortifications). Even though conditions weren't easy in the tented camps, these POWs still fared a lot better than the inmates of the concentration camps on the South African mainland. They were mostly treated well and even contributed to the island's development, e.g. by applying their workforce to the improvement of the road network on the island. Many were skilled craftsmen and applied this on St Helena too, they established cultural activities/institutions, in music, the arts, as well as in sports. The interaction with the islanders went largely well. A couple even married St Helenian women and stayed on after the conflict ended. Some never left because they died during their captivity on St Helena. 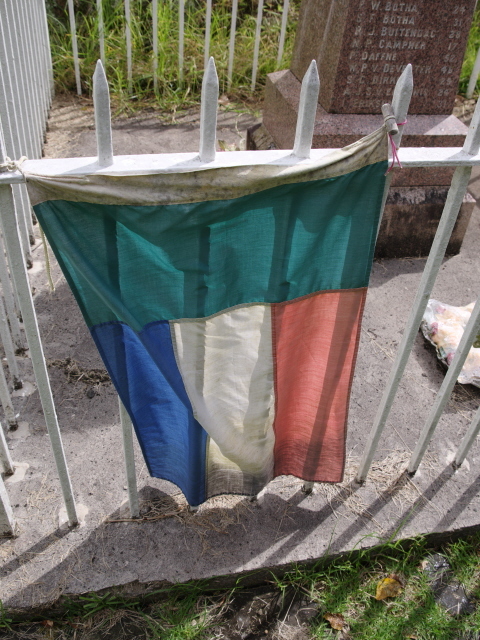 Though the death toll doesn't compare with that of the concentration camps in South Africa, some 180 were given their final resting place at a special cemetery in the centre of the island. This plot was provided by the Baptist church, after the Anglican church refused burials of Boers in their graveyards as they considered them “heathens” (not quite true – as they were Calvinist Protestants) and “enemies of the state”. The two additional granite monuments were added in 1913. And the cemetery was renovated by the South African Navy in 1991. Another quite visible relic of the Boer presence on St Helena is the brick chimney at Rupert's, once part of a desalination plant set up by the Boers to provide drinking water for the camps (see the photo in the gallery for the general St Helena entry). The Museum of St Helena also has ample information of the impact the Boers had on the island, including many original artefacts. What there is to see: Not much, really. Well at least not of the camps. These were just tented camps with no permanent structures, so all traces have all long since gone. At least the location of the first Boer POW camp on Deadwood Plain is marked by a sign next to the track that leads from the main road (the so-called Haul Road, built for the construction of the airport) to the trailheads of the Flagstaff, The Barn and Sugar Loaf postbox walks (see under St Helena). The location of the other Boer POW camp at Broad Bottom is, to my knowledge, not marked – at least I never saw any sign when I was in the area. Anyway, it too is just an empty field with no traces surviving. The only real noteworthy site is the Boer POW cemetery at Knollcombes. 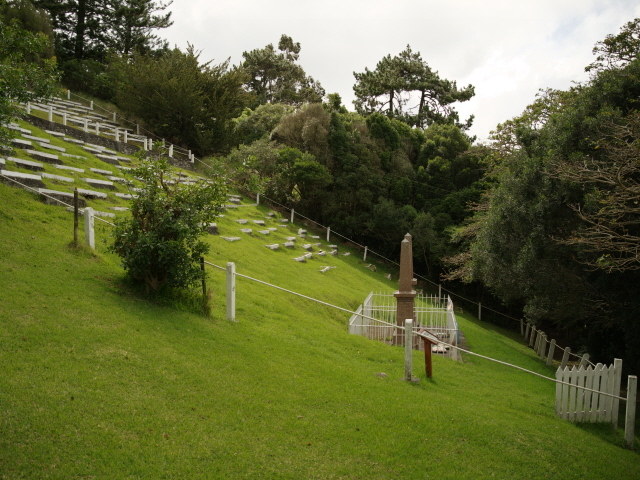 Here you'll find a sombre hillside burial ground, with the individual graves aligned on the slope like big white-framed steps for a giant's stair. The graves are numbered but otherwise unmarked. However, at the foot of the slope are two monuments, granite obelisks, with the names of the dead engraved on their sides. In addition fading flags of both Transvaal and the Orange Free State hung from the fence that surrounds these monuments and a couple of wreaths were placed inside when I was there. Furthermore I spotted a small private plaque dedicated to one of the dead buried at the site and placed here in 2015 by his great-grandson. It's mostly in English and quite factual, but at the bottom it has the line “Voor vrijheid en voor recht” ('for liberty and justice' in Afrikaans), which doesn't come across as particularly reconciliatory. Otherwise, though, this is a beautifully quiet and peaceful spot well worth slotting in when touring the island. 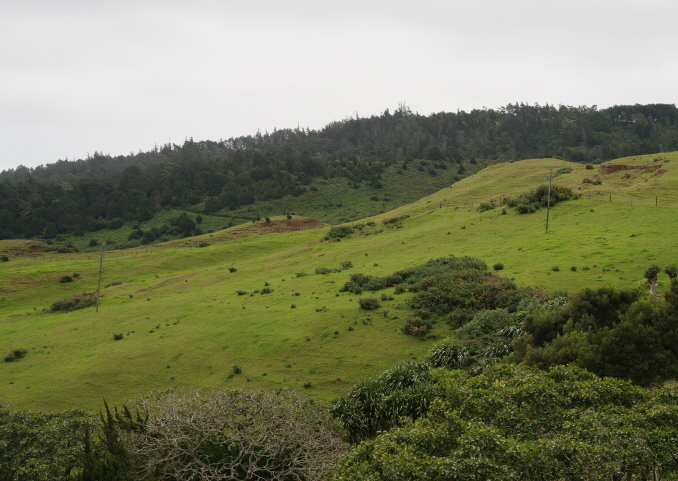 Locations: In the north-east, south-west and centre of St Helena. The location of the first POW camp at Deadwood Plain is marked by a sign, the other one at Brad Bottom is not (at least not as far as I have been able to find out), and it is hence more tricky to locate. The Boer cemetery, on the other hand, is well sign-posted and quite easy to find. Access and costs: easy enough by car – or guided tour; otherwise free. Details: Of the two locations of the former POW camps, the one at Deadwood Plain is clearly marked by the side of the track that leads from the Haul Road to the trailhead to Flagstaff. The location of the other camp at Brad Bottom is, to my knowledge at least, not marked, but some research I undertook identifies it at roughly where I put the map marker above. The photo in the gallery below may not be pointing quite in the right direction, but so what, the scenery is very similar in that part in most directions. The most proper site is the cemetery at Knollcombes. 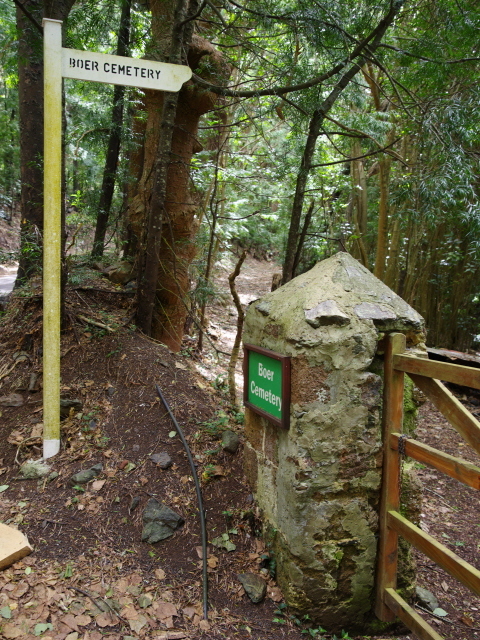 The trail from the road to the cemetery is sign-posted (doubly so!) from the road near White Gate. It's only a short walk, taking you first past an (almost) unrelated local Baptist cemetery and then to an open hillside with the Boer graves and the monuments. Time required: not long at any of the sites, perhaps a quarter of an hour or so at the cemetery, but only a short moment at the site(s) of the POW camp(s). Combinations with other dark destinations: in general see under St Helena. En route from the road to the Boer cemetery you pass another smaller cemetery with regular graves – these are associated with the local Baptist church. There's also a monument to the St-Helena-born former governor Hudson Janisch (normally all governors have always come from Britain). Combinations with non-dark destinations: see under St Helena.